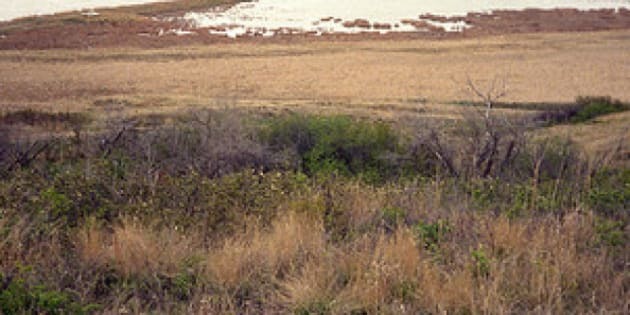 REGINA - Somewhere along the South Saskatchewan River, lying beneath whispering prairie grass, is a secret aboriginal burial ground owned and operated by the provincial government. The historic remains of nearly 200 unidentified aboriginals have been reunited with Mother Earth here over the last 14 years. Not many people know about the remote spot and the province isn't putting it on any tourist maps, says Carlos Germann, director of Saskatchewan's heritage conservation branch. "There's a certain level of confidentiality that has to be maintained here," he says. "This is considered a very sacred burial ground to First Nations, unique in that it accommodates all different tribal affiliations." Germann says it's the only one like it in the country. The government set aside the four-hectare parcel of Crown land in 1998 to re-inter remains that had no where else to go — bones lying on museum and university shelves, unearthed during construction or discovered due to land erosion. They find their final resting place at the sacred site if there's no way to determine if the dead belonged to a certain tribe or there's no way to return them to the places where they were found. "This is only a last alternative," says Ross Gardypie with the Saskatchewan Indian Cultural Centre in Saskatoon, an organization that co-manages the site. "It's vital to do a reburial." He says elders representing eight different linguistic groups hold burial ceremonies and pray for the bodies to rest in peace. The oldest remains date back between 5,000 and 6,000 years, says Germann. Unearthed and unidentified remains that experts determine are non-aboriginal take a different reburial route. "The John Does, clearly not aboriginal, are typically returned to the nearest cemetery where they were found." Decades ago, researchers across North America thought nothing of excavating aboriginal remains — without permission — for study purposes. Germann says they had the best of intentions in wanting to better understand aboriginal life and history. But they later realized what they were doing was wrong. "There was an urgency at that time and an awareness that this wasn't quite the most appropriate thing to do, to keep these people on laboratory shelves and in boxes." Museums and governments began trying to make amends. When possible, if there was documentation, remains were sent back to their original resting sites. More than 300 bodies excavated from a mass grave in a farmer's field near Swift Current were returned there in the late 1960s. Stanley Poitras with the Muscowpetung Saulteaux reserve north of Regina remembers the several days he spent digging graves by hand, placing bones bundled in red cloth back into the ground. There was a feeling of peace, Poitras says. "They've got to be put back. Somebody buried them there at one time for a reason." Germann says each year an average of six sets of remains get added to the secret site. Last month, remains belonging to two aboriginal men were found in the southern part of the province. A construction crew in the town of Oxbow unearthed limb bones in a dirt pile that were about 200 years old. And people canoeing on Moosomin Lake discovered a skull and other bones dating back 500 to 1,000 years on the shoreline. Ernie Walker, an archaeology professor with the University of Saskatchewan, examined the remains and determined they hold no research value. He then gave them to the government for proper burial. Germann says the remains will probably be placed in the burial site this fall along with any others discovered over the year. There will always be more, he says. Aboriginals were nomadic hunters, constantly on the move following buffalo. "When people died, they would essentially bury them there, wherever it happened, everywhere. There were no cemeteries. "With settlement and erosion, these things get exposed."